Alonso will run in McLaren's orange and blue colours as he returns to the Indy 500 next month to try and complete the triple crown. McLaren has unveiled the livery Fernando Alonso’s car will carry at this year’s Indianapolis 500 as the Spaniard prepares for his first oval test of the year this week. After making his debut at the Indy 500 in 2017, Alonso will return to the race next month as he bids to become only the second driver in history to complete the ‘triple crown of motorsport’. Alonso will drive the #66 McLaren-Chevrolet entry in the team’s traditional orange colours, with the full livery being unveiled on Monday, matching the orange and blue design used on the team's Formula 1 cars. "I’m excited we are finally able to reveal to the world the #66 car which I’ll be racing with McLaren at the Indy 500 in May," said Alonso. "My hopes for the race remain the same, to win and achieve the Triple Crown, and I’m looking forward to meeting the fantastic US fans who made me feel so welcome first time around." 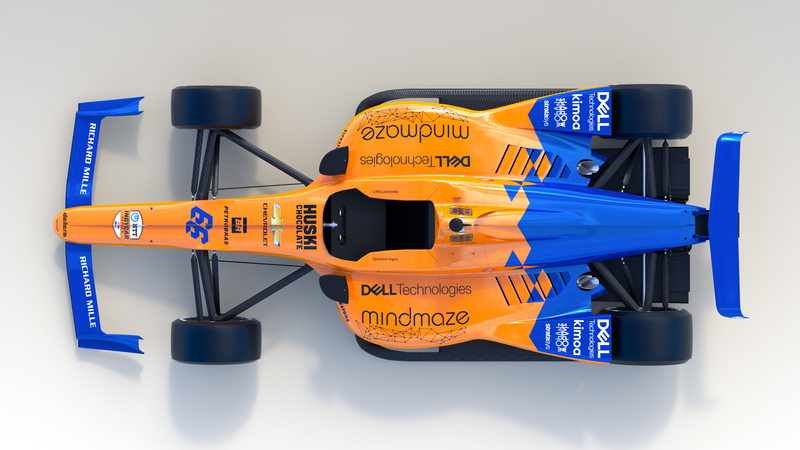 "The reveal of the #66 car and livery is an important moment for McLaren Racing’s journey to the Indianapolis 500," added McLaren Racing CEO Zak Brown. 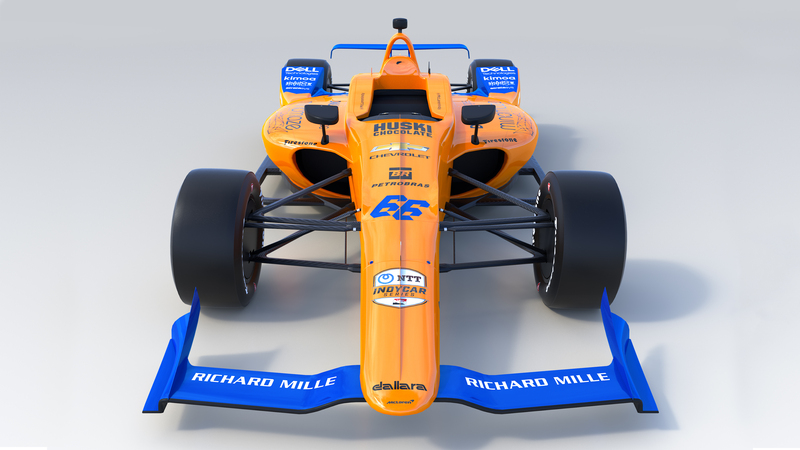 The unveiling comes ahead of Alonso’s return to Indy car machinery this week, with his first oval running since his last Indy 500 entry planned for Tuesday at Texas Motor Speedway in the #66 car's sister chassis. Further running is scheduled to take place at Indianapolis Motor Speedway on April 24 ahead of the start of official Indy 500 practice on May 14. Should Alonso win the Indy 500 at his second attempt, he would emulate Graham Hill’s triple crown achievement, having already recorded victories in the Monaco Grand Prix (2006, 2007) and the 24 Hours of Le Mans (2018).